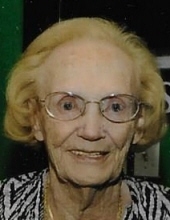 Barbara C. Spargo (Cronin), 90, of Cranston died Saturday of a brief illness at the Philip Hulitar Hospice Center surrounded by her family. She was the beloved wife of the late Donald F. Spargo. Born in Providence, the daughter of the late Joseph W. and Catherine R. (McPherson) Cronin, Sr., she had been a West Warwick resident for nineteen years before moving back to Cranston two years ago. Mrs. Spargo worked for the United States Postal Service for twenty-eight years before retiring in 1992. Along with her husband, Mrs. Spargo was a member of the Arthritis Foundation of Rhode Island, served on their Board of Governors and volunteered at the Arthritis Support Group. She was a winter resident of Naples, FL for many years and was a lifelong summer resident of Roy Carpenters Beach, Matunuck. She leaves two daughters, Janice A. DePalma of Cranston and Susan Spargo DeRosa and her husband, James of Cranston. She was the loving grandmother of Michael T. DePalma, Daniel T. DeRosa and Catherine C. DeRosa; sister of John D. Cronin and his wife, Joyce of Warwick and the late Joseph W. Cronin, Jr. and Marilyn ‘Joan’ Kempf. She was loved dearly by her numerous nieces, nephews and extended family. Her funeral will be Friday at 8:45 from the Frank P. Trainor & Sons Funeral Home, 982 Warwick Avenue, Warwick. Mass of Christian Burial in Saint Mark Church, Garden City, Cranston at 10 AM. Calling Hours Thursday 4-8 PM. Burial will be in the Rhode Island Veterans Cemetery, Exeter. To send flowers or a remembrance gift to the family of Barbara C. Spargo, please visit our Tribute Store. "Email Address" would like to share the life celebration of Barbara C. Spargo. Click on the "link" to go to share a favorite memory or leave a condolence message for the family.